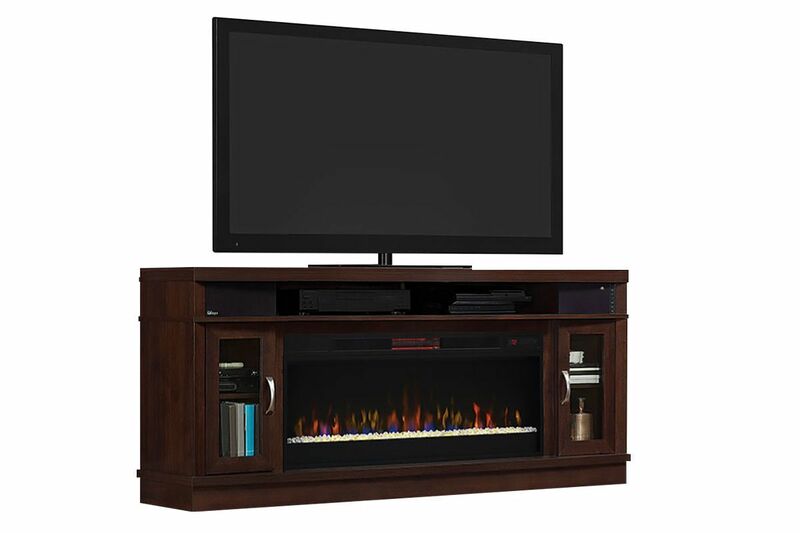 The Deerfield Fireplace features two speakers and holds up to an 80" TV! 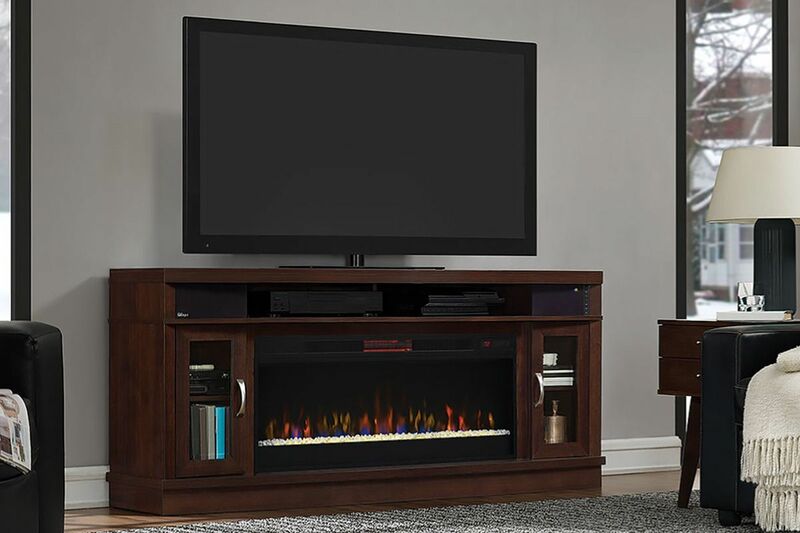 Includes media shelving for AV components. Includes two glass front side cabinets with adjustable wood shelves. Experience rich sound from the integrated sound system with two 4” main speakers, two 1” tweeters and forward facing passive bass ports. Wirelessly stream audio from any Bluetooth® enabled device anywhere in the room.